Hi Guys! 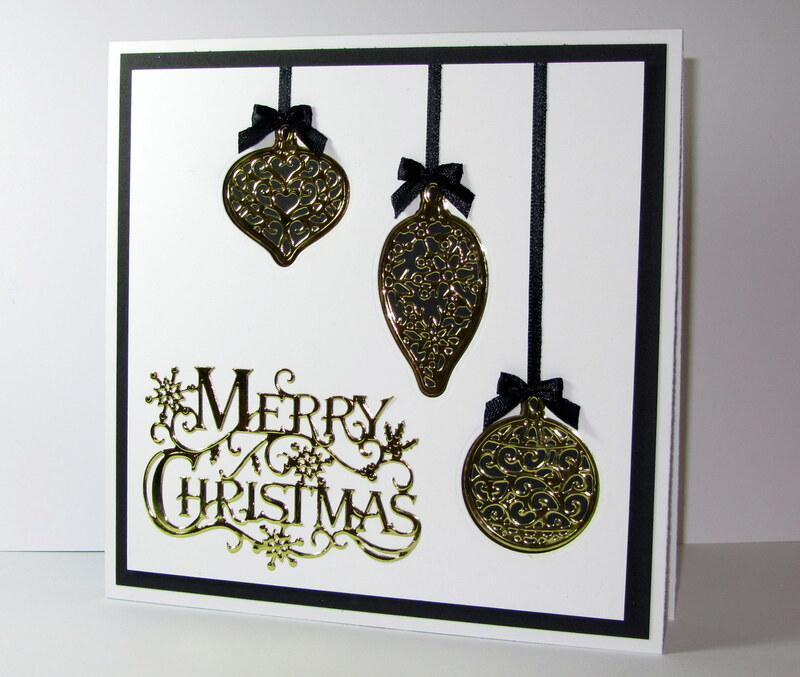 I thought I’d do another tutorial write up for you as I’m on my way back from the Hochanda studios….I love making these cards for the shows. Prepping is so much fun…especially when it allows me to make my visions a reality! 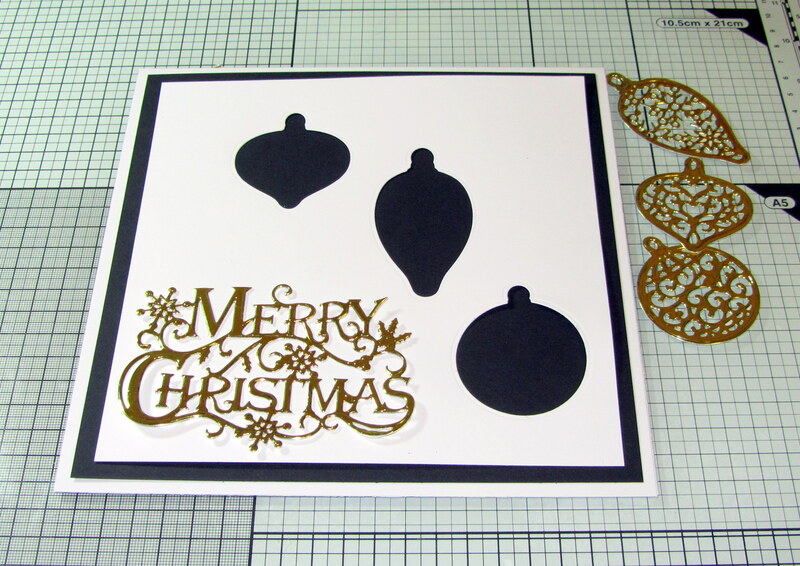 Here’s a step by step on how to create this really classy card using my new Traditional Christmas Collection!!!! 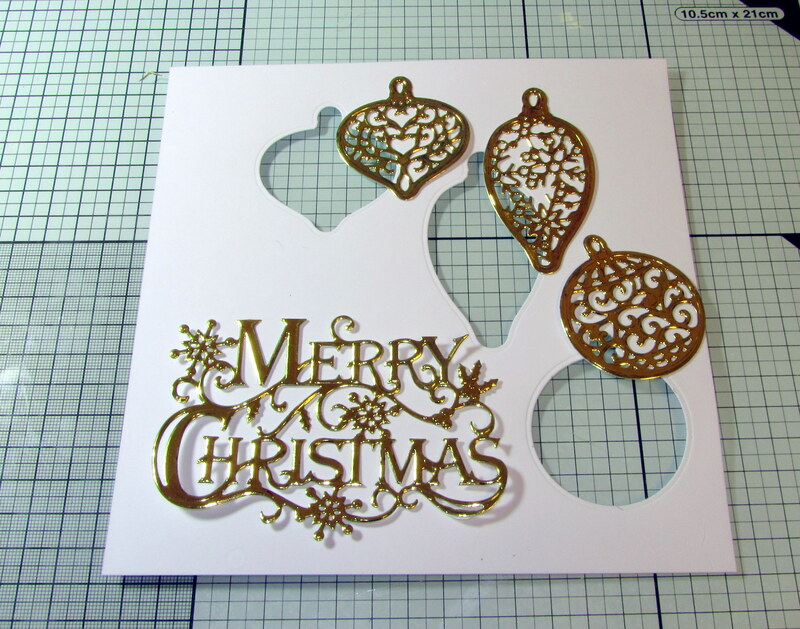 Step 1: Trim the Sheena Stamping card into a 7” square then place the 3 outer bauble dies onto the card…and pop through your machine! 2. 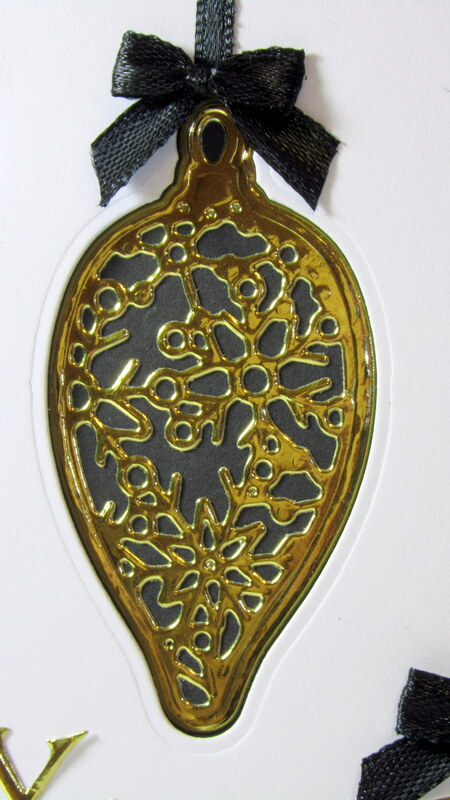 Apply stick it to the back of gold mirror card, then die-cut 3 baubles and the sentiment. 3. Matt and layer black card 7 1/2″ square onto an 8×8″ card blank, then using foam pads, affix aperture card to the front. 4. 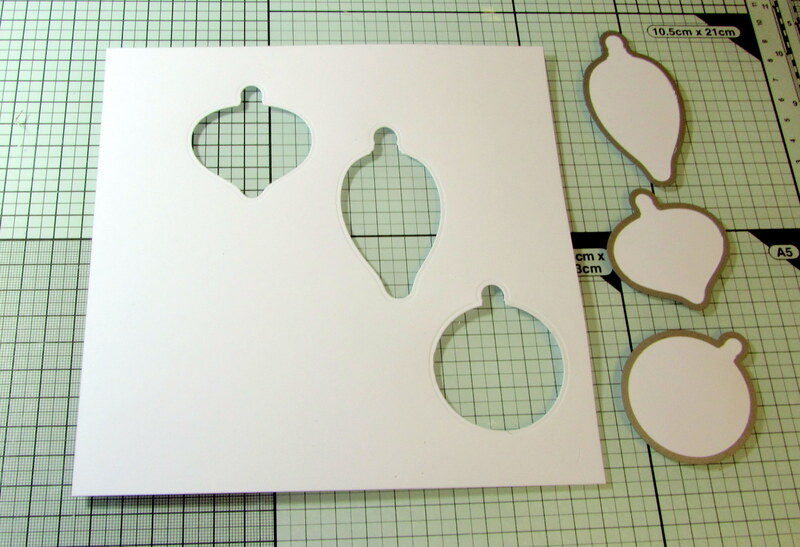 Adhere the gold baubles into their spaces, then attach the sentiment. Affix ribbon and a bow to each bauble to finish. If you’re still wondering who won my show sample cards from the launch show visit my tutorial from yesterday! Names are on there! 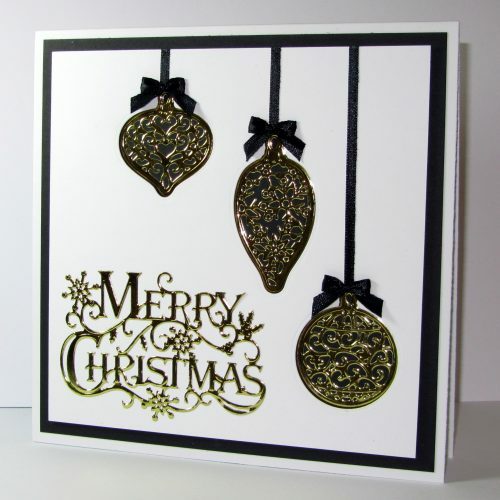 I hope you have fun making this classy card!